Enjoy these two stunning lace and silk creations by Mika Inatome Bridal. Beautiful wedding gowns! 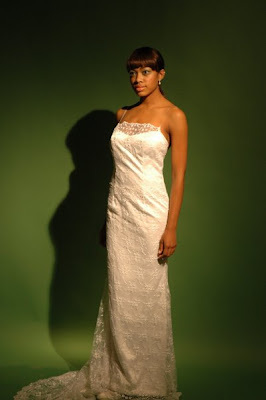 Great for informal weddings or beach weddings. Oh my god those dresses are soooooo beautiful. I wish I could afford one of them for my wedding. I think I'd go with the red one. Very original. A dress to remember!